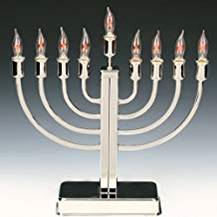 Hanukkah is an eight-day Jewish holiday and it started last night at sundown and it will end at sundown on Monday, December 10. 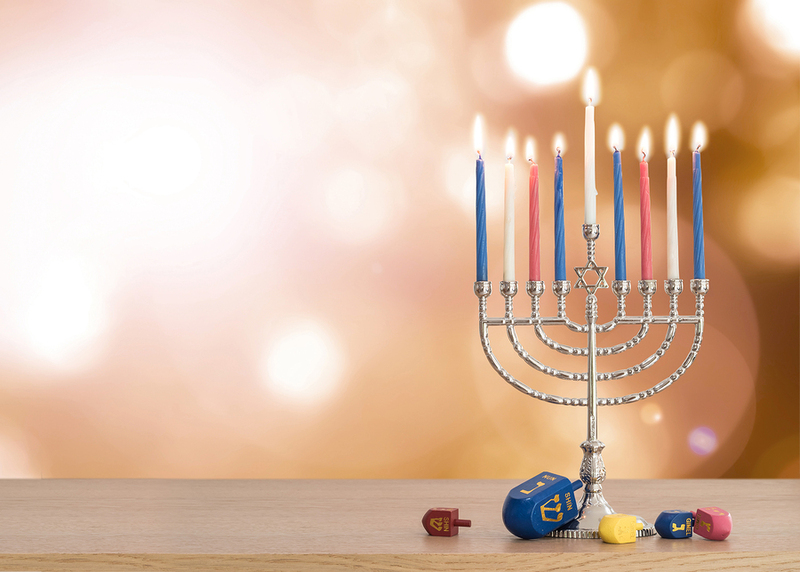 It is also called the “Festival of Lights” and is celebrated with the lighting of the Menorah. DO NOT light the candles in the air. You can get an electric one as a gesture for your passengers. 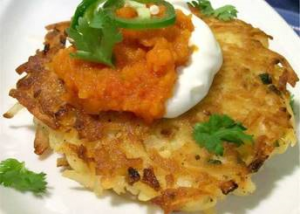 A traditional Hanukkah recipe celebrates the miracle of oil that burned for 8 nights instead of just 1 by including a few fried recipes, latkes (fried potato pancakes) and sufganiot (fried donuts). 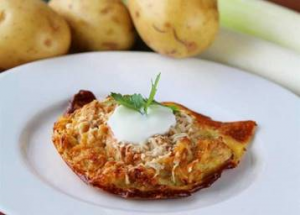 John and I rounded up these cornerstone items with a few of our favorites to help you put together a celebratory menu for your Jewish passengers. Keep in mind Kosher laws, if following, do not mix dairy and meat items. 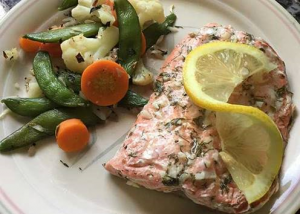 If you choose to serve dairy, plan on serving baked or roasted salmon for your main course. 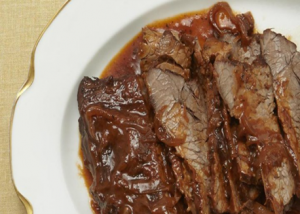 Or go dairy-free with brisket or chicken. 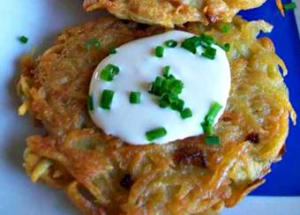 Always serve latkes with either sour cream or chunky apple sauce. 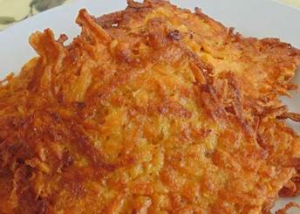 A perfect accompaniment to potato latkes, this applesauce is made in a slow cooker. The combination of brown sugar, pumpkin spice, and apples will perfume your house for hours. The apple sauce is spiced with cinnamon and cloves. I recommend tasting your apples first and adjusting the added sugar amount accordingly. Once done, puree the sauce until smooth or leave it a bit chunky. 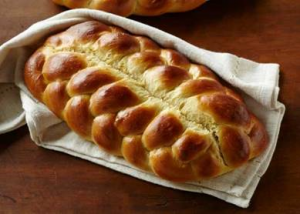 This challah is a substitute for regular dinner rolls that you might serve. It uses instant yeast to speed up the rising process. Braid the challah as a traditional loaf or make a round one. 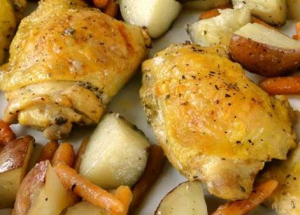 This recipe will make your passengers smile. Also, remember, if you are doing a dairy meal, ONLY use margarine, not butter. 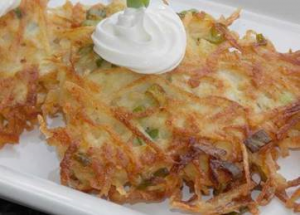 Additionally, NO sour cream as a side with the latkes IF you are serving meat. Again, do NOT mix meat and dairy. Challah is great when sliced and made as FRENCH TOAST! For a dairy menu, this recipe for salmon baked in a butter, lemon, and dill sauce is a passenger pleaser. You can bake the salmon as individual fillets or use a whole side of the fish. Sprigs of fresh dill and lemon slices make for a beautiful presentation. 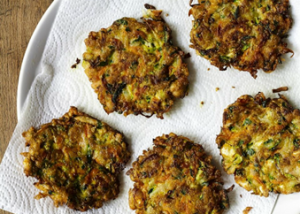 With some of the heavier, fried menu items, a nice green dish will be a welcomed addition to the table. 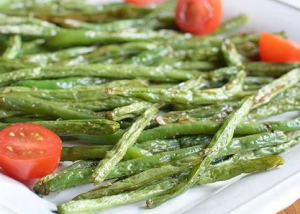 We love these simply roasted green beans. Be sure to spread the beans in a single layer to allow them to roast evenly without steaming. These fried doughnuts from are “filled with sweet cheese or preserves” to fit either the dairy or dairy-free menu. 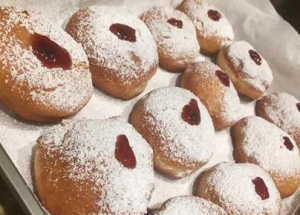 These doughnuts are excellent and has become a Jewish family’s new Hanukkah tradition. If you have any questions about this article, contact Susan Friedenberg at scffatraining@aol.com. This is an article by guest author Susan C. Friedenberg,President and CEO of Corporate Flight Attendant Training. Susan is a corporate flight attendant and business aviation expert. Any thoughts expressed in this article are entirely Susan’s and do not necessarily reflect the views of Air Culinaire Worldwide. If you would like to be considered for becoming a guest author, please contact socialmedia@airculinaire.com.